This is a great system and fun to use. Coverage from Albany to Buffalo, south to Cortland and north to Lake Ontario and the Adirondacks.Thanks to all the repeater owners and trustees for all their hard work that makes this system possible. These are the active repeaters on the statewide system west from Albany to Buffalo and north to Oswego and Watertown. Program them into (14) successive memory locations in your radio and spin the "knob" as you drive across the state! Thanks to the owners/trustees; Clint-N2FMM, Nick-N2XFX, Bob-KA2FWN, Kevin-KD2SL, Jack-W2QYT, Chris - KB2FAF, Bob-N2FEP, Mike-KB2AUJ, Darrell K1DCC and Jim-K2LM for helping me update the latest status on their great linked system. Try it out........It's working great! Monitoring public service communications is rapidly changing. Many local, state and federal agencies have gone to Digital Radio Systems. Cayuga, Oswego, Onondaga and Madison counties have switched over to the Central New York Interoperable Communications Consortium (CNYICC) Network, which is a P25 digital trunking system. Analog radio and scanning receivers will not properly receive the audio from this system. Don't worry too much, because there are several options. Scanner listeners in Cayuga, Oswego, Onondaga and Madison counties can use a digital trunking receiver to listen to this system. Scanners such as the Uniden BCD 396X/T and 996X/T, Uniden Home Patrol and the Radio Shack Pro-197(same as GRE PSR-600) are excellent radios for listening to the new CNYICC system. There is also an analog simulcast of Cayuga County Fire/EMS dispatch that you can still receive on 453.41250 mhz. Also Onondaga County Fire dispatch simulcasts on 453.850, 82.5 PL and EMS on 460.025, 82.5 PL. Unfortunately Law Enforcement and Municipal services are not simulcast on any analog frequencies. Another option is live Scanner feeds from the Internet on your personal computer. Internet feeds can be found at http://www.broadcastify.com/ as well as http:/www.radioreference.com. Hams can also keep track of their favorite repeaters when away from the radio.One local feed from Stan; N2STC covers Oneida County (http://www.broadcastify.com/listen/feed/11348/?rl=rr). There are also several other feeds covering different areas of upstate NY. There has been a recent surge in local repeater activity on 220 Mhz. New repeaters in Syracuse and Newark, along with some new ones being planned for Auburn and Ithaca, make 220 mhz a viable option for many upstate hams. There are also quite a number of 220 Mhz repeaters in both Rochester and Buffalo. Here is a summary of the CNY 220 mhz repeaters that I am aware are presently active. If you can confirm others, please send me an e-mail (UpstateHam@gmail.com). You may also hear some folks chatting on Simplex at 223.400 or 223.500 Mhz. Some newer multi-band HT's have the 220 mhz capability, but a fairly inexpensive radio that I purchased recently is the TYT-9000, 220 mhz single band mobile. It comes with the programming software and a DTMF microphone.You can find them online in the $150-200 range. Several Syracuse friends suggested this model to me and I have no regrets. Syracuse has a new 2M repeater, on 146.670, minus offset, 103.5 tone. Why build another repeater? Aren’t there enough repeaters already? Indeed, I’m on record as saying that we have plenty of repeaters – that if you’re going to build a new repeater, you should have something different and unique to offer. This repeater was born out of the idea that we needed: 1) Excellent wide-area 2m coverage, with strong HT support in the city of Syracuse and surrounding suburbs, AND: 2) A repeater not affiliated with, or controlled by any club or organization. In Syracuse, you could easily find one or the other, but not BOTH. Who owns the repeater? If it’s not a club or organization, where did the money come from? The great thing about this repeater is that no one person owns it. Fifteen Syracuse-area hams generously and anonymously contributed the money to build it, as a gift to ALL area hams. They didn’t do it for recognition, because they don’t even know who the other hams are, or how much they gave, and nobody else will ever know either. There were no meetings; everything was organized through blind e-mail. I’m the trustee, but not the owner. Wasn’t 146.67 already in use? 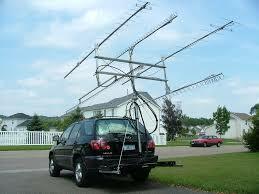 146.67 was coordinated to another ham several years ago, with a repeater located south of Skaneateles Lake. However, with the repeater off the air for the past 2 or 3 years, according to UNYREPCO guidelines the frequency becomes eligible for reuse, and official coordination paperwork is currently being processed. Why isn’t there a courtesy tone? As with the other repeaters that carry the KD2SL call sign, it is located near the WSTM-TV channel 3 tower on Sentinel Heights. There are currently no plans to link 146.67 with any other repeaters, or the Internet (EchoLink, AllStar, IRLP, etc.). It will remain a stand-alone repeater, dedicated to Central New York ragchewing. A possibility for a future upgrade would be a link to one or more other repeaters that could be turned on for public service or emergency use. Who can use the repeater? 146.67 is a gift to the entire ham community by the 15 anonymous hams who paid for and built it. It is completely open to ALL well-behaved and licensed hams, regardless of whether or not they helped build it. EVERYONE is encouraged to stop by and say “hello!” Regular repeater users are strongly encouraged to make every effort to warmly welcome new users, and draw them into the conversation. Will there be any nets? There currently are no nets scheduled, but nets are welcome. Please contact KD2SL, the repeater trustee before setting up a net. 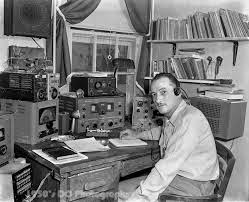 One idea (that isn’t technically a net) would be a weekly news bulletin broadcast (Amateur Radio Newsline, ARRL Report, etc.). If anyone wants to volunteer to do this, or has a good suggestion for a day and time, please contact KD2SL. Once again, I emphasize that this repeater is open to all hams. The Central New York ham community is made up of a lot of great people, with a huge diversity of interests and experiences. Our primary goal is that 146.67 be a meeting place where we can all get to know each other better. For more information, or to make suggestions or comments, please contact Kevin Tubbs (repeater trustee) – KD2SL@yahoo.com.